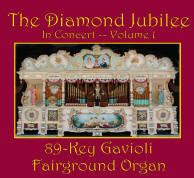 The Diamond Jubilee Organ is the largest touring antique fairground organ in the Americas, and one of only two similar instruments in the United States. 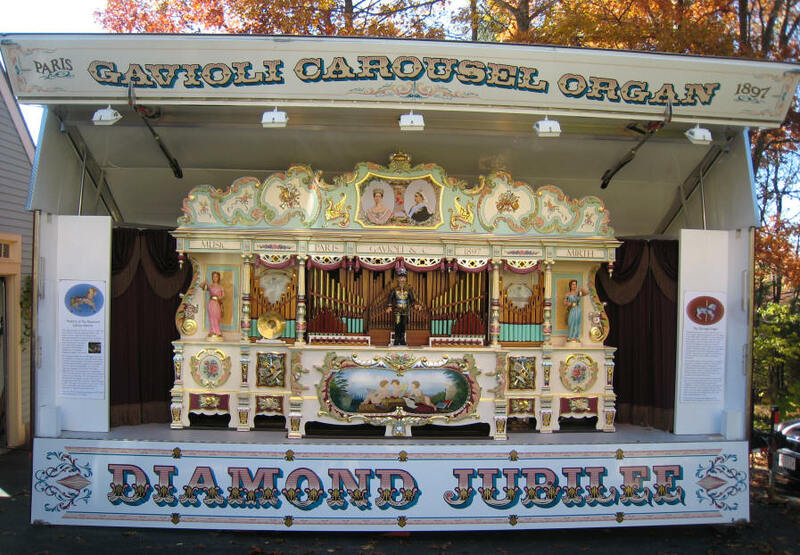 Built by the Gavioli firm in Paris in 1897 (the year of Queen Victoria's Diamond Jubilee), The Diamond Jubilee Organ recreates the sound of the traveling fun fair, the Happiest Music on Earth1! 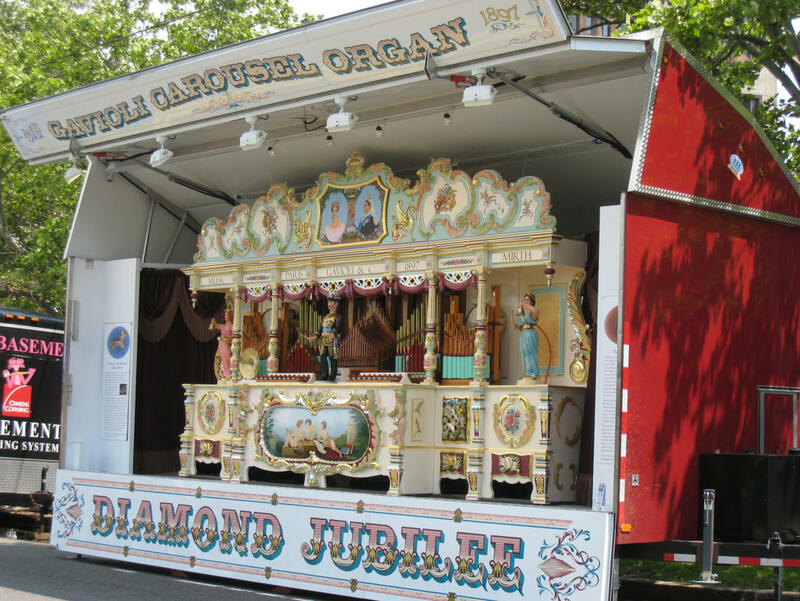 Newly restored, with over 400 pipes playing on four registers The Diamond Jubilee Organ is a real attention-getter, and will bring a smile to every one who hears it at your fair, festival, or celebration. The first recording of the Jubilee is now available for purchase. Please click here for details. 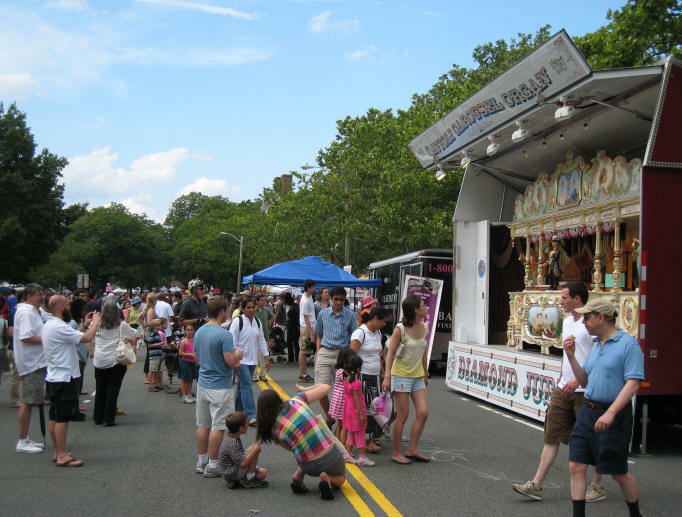 The Jubilee is presented on a custom display trailer. Set up on your site is quick and easy. 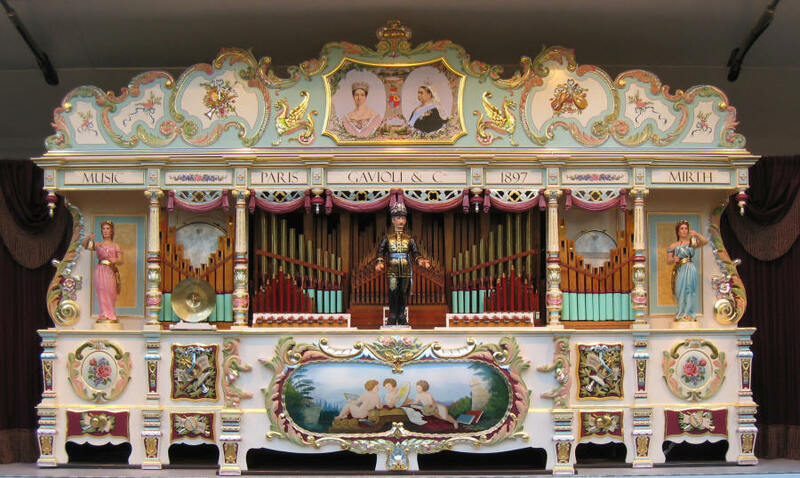 The joyous sound of real carousel band organ music will put a smile on the faces of your guests! Click here to go to pictures of organs collected at rallies around the world. Please send any comments on the site to the webmaster.